Tickets £5 – may be purchased in advance from Lesley Brooks, programme@allhs.org.uk, 01923 264536 or on the door if some are still available. Tickets may also be purchased in advance at our stall at the Abbots Langley Carnival on Saturday 11th June. Food is a brilliant way to get under the skin of past societies: everyone eats, and the choices we make reflect who we are and what we believe – and that’s as true for the Georgians as it is for us today. By exploring what was eaten, and by whom, how it was cooked and how it was consumed, we can explore a wide range of beliefs and behaviour, shedding light on everything from malnutrition among the poor, to the innermost workings of the country house. 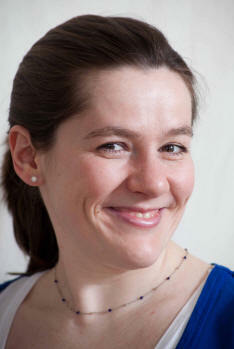 Annie is resident food historian on Radio 4’s Kitchen Cabinet and recently presented the Victorian Bakers for BBC TV. She has also appeared on PM with Eddie Mair, Words of Mouth, You & Yours; on TV with Nigel Slater, Jay Rayner, Paul Hollywood (Bake Off), James Martin (Home Comforts) and is consultant food historian on many period dramas.